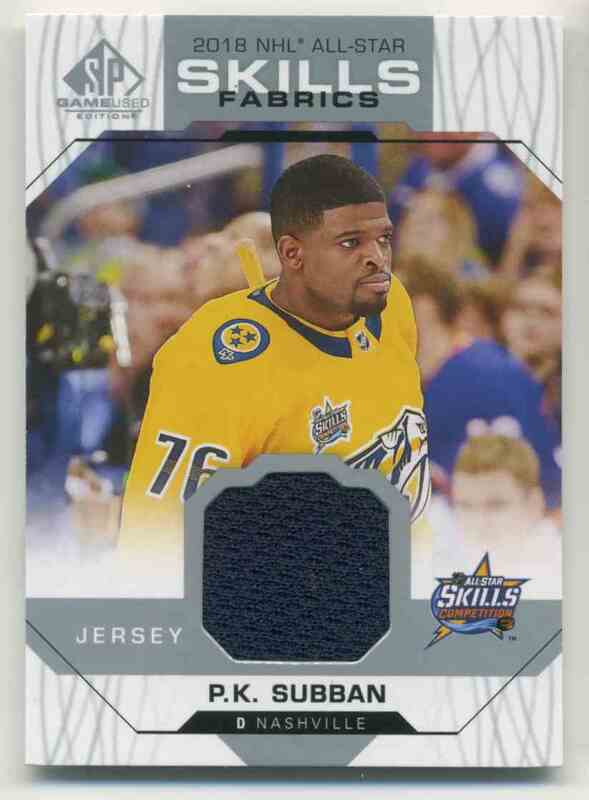 This is a Hockey trading card of P.K. Subban. 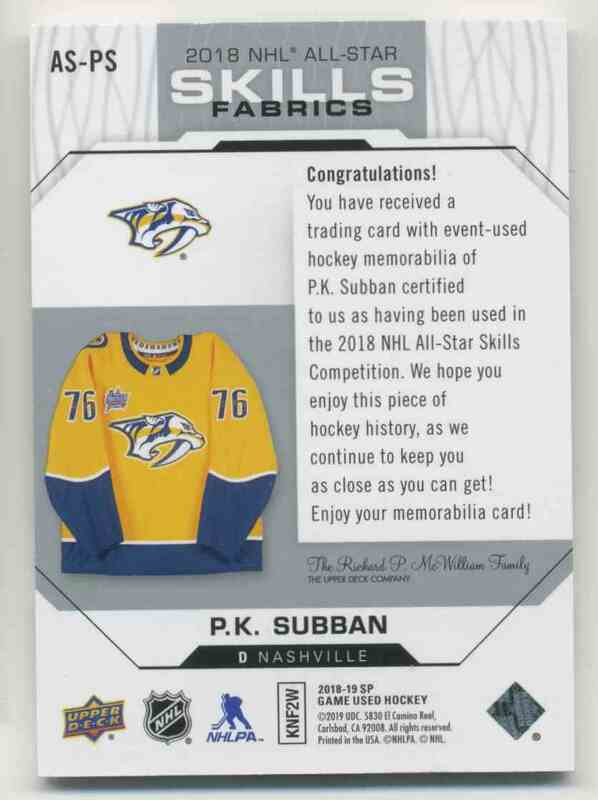 It comes from the 2018-19 Upper Deck SP Game Used '18 All Star Skills Fabrics set, card number AS-PS, embedded Jersey 1 Color. It is for sale at a price of $ 8.00.